The Islamic Movement in Nigeria, IMN, also known as Shiites, has disclosed that it never endorsed any presidential candidate. 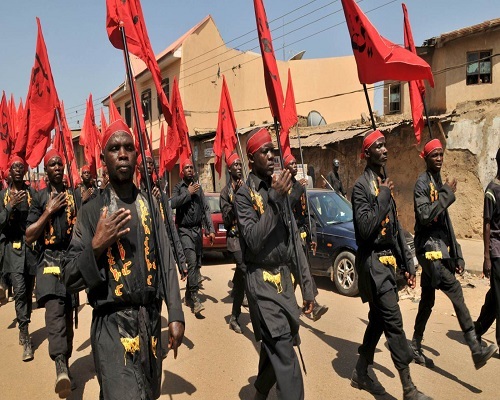 The group further called on the general public to disregard the recent statement by one Amir Sadiq Muhammed, who paraded himself as the National Secretary of the movement, a position not known to IMN. In a statement signed by a member of Resource Forum of IMN, Muhammad Ibrahim Gamawa, a copy of which was made available to reporters in Abuja on Sunday, Shiites said that no adherent of Sheikh Ibraheem Zakzaky would ever support a party or any candidate that has taken it upon itself to wipe out Shia Muslims in the country. Gamawa said that IMN wishes to draw the attention of the general public, especially political parties to be wary of fraudsters like Amir Sadiq Mohammed and others who might come their way again. He said the movement had expressed readiness to support a candidate that believes in fairness and religious freedom. “Ordinarily, this fraudster would have been ignored if he had not mentioned the Zaria and recent Abuja massacre planned and executed by men of the Nigerian Army of which the victims are one hundred per cent all followers of Sheikh Zakzaky. “It is important for the general public to know that contrary to the five million votes the fraudster, Amir Sadiq Mohammed mentioned in the said report, the movement has more than eight million registered voters who would go out on the election day and cast their votes to the candidate that believes in justice, fairness and religious freedom. “Furthermore, it is equally important to mention that we do not have anything against any political party in Nigeria, neither are we political group. It is pertinent to know that no adherent of Sheikh Ibraheem Zakzaky will ever support a party or any candidate that has taken it upon himself to wipe out Shia Muslims in the country,” he insisted.